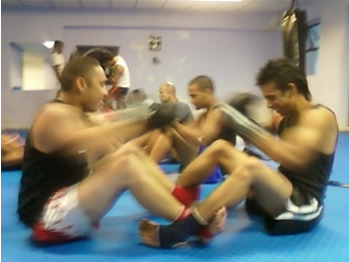 Rays Muay Thai and Fitness Academy has been established since 1999. 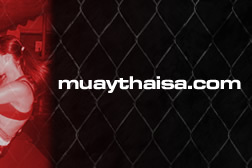 The academy offers first class instruction in Muay Thai, accommodating total beginners to world class fighters. We offer training to men, women and children of all ages. Full contact sparring and competitive fighting is always an exciting option. 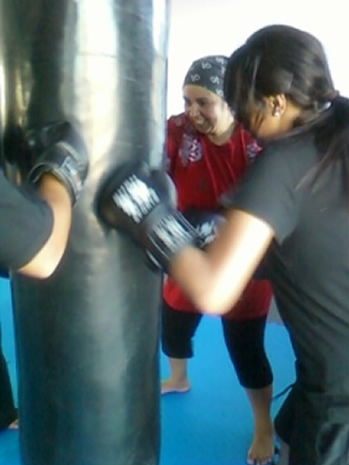 However, most members who join choose to train for self defense, to get in shape and to build confidence. If you are looking to join a gym with a friendly atmosphere and a serious attitude towards training, then this is the place for you. Whether your objective is to get fit, lose weight, tone, build self-confidence, learn self defence or to become a fighter, you are welcome to join us! Personal Training – private one-on-one lessons booked with an instructor, each session is an hour long. Individual attention allows you to achieve your objectives more quickly. Group Classes – 2 - 3 times per week, male and female from 14 years and up, level total beginner to advanced. 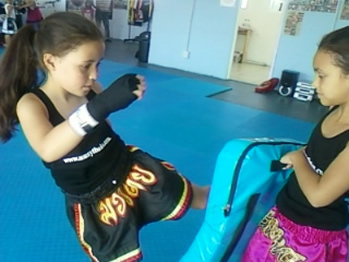 Students learn the basic skills of Muay Thai including ways to use these skills to attack and defend. Great for fitness, fun and confidence building. Women Only Classes – TRAINING FOR WOMEN BY A WOMAN. 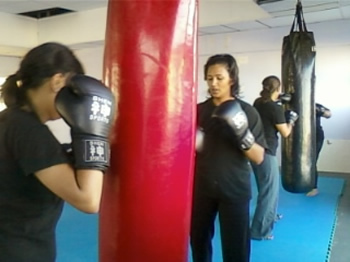 Women empowering themselves with effective self defense skills. Total beginner to advanced. Great for toning, weight loss, confidence building and to have some fun! 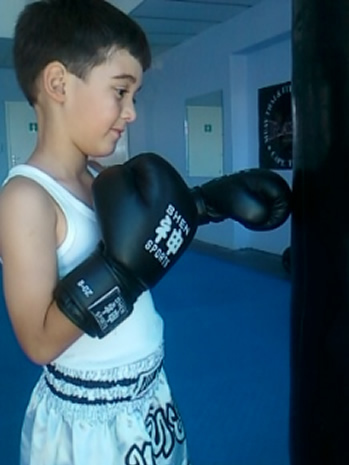 Muay Thai for Kids – 7-14 years. Children learn the importance of their own safety while improving their fitness, co-ordination, flexibility and balance. Children develop self esteem and a sense of awareness. Their progress is monitored by means of a structured Grading system which motivates them. This programme instils discipline, respect, control and concentration and is designed to avoid boredom. Fighters’ Training – competitive fighting is optional and only happens when the trainer and student feel that they are ready for competition. Fighters train up to 6 times per week. 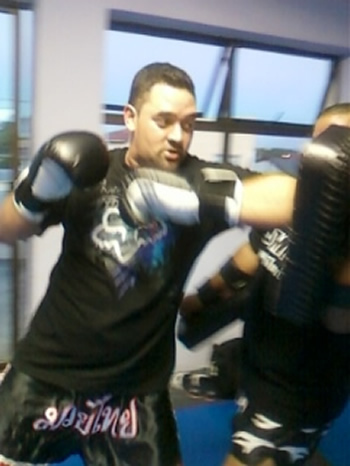 The sessions involve full contact sparring, conditioning and intense fitness training. Not for beginners! For more information regarding class times and membership fees please click here to contact us.